← Happy Easter! 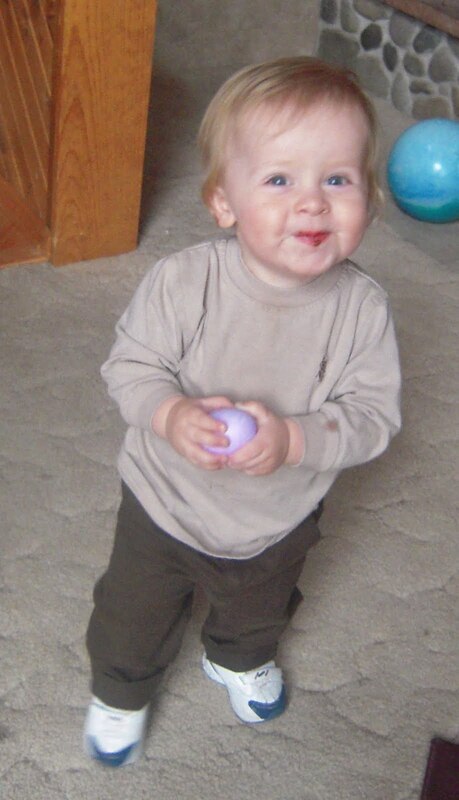 Or, How many Easter pictures of my kids do you want to see? So, I was running around Wal-Mart on Saturday morning, looking for Easter basket stuff (what, doesn’t everyone put Easter baskets together the day before?) 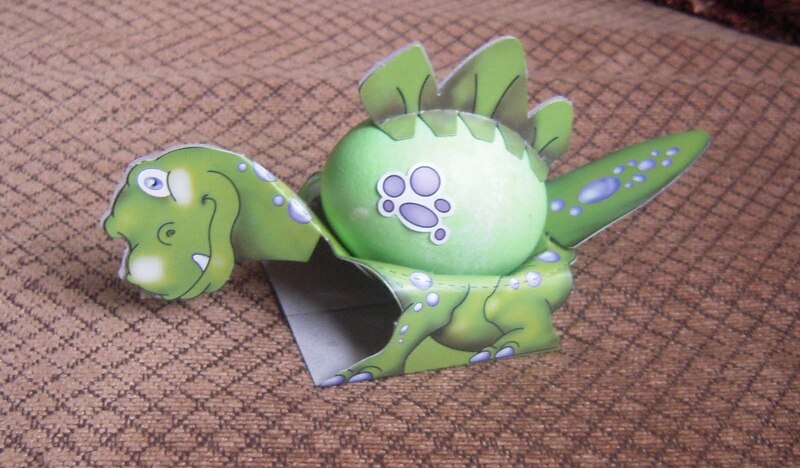 and I thought I should probably pick up an egg coloring kit. I glanced over at the million various themed kits and what do you know, there’s a dinosaur themed one! Since both my children are currently obsessed with dinosaurs, it seemed like a good bet. Right I was. Look how cute those eggs are! I couldn’t get over the cuteness. 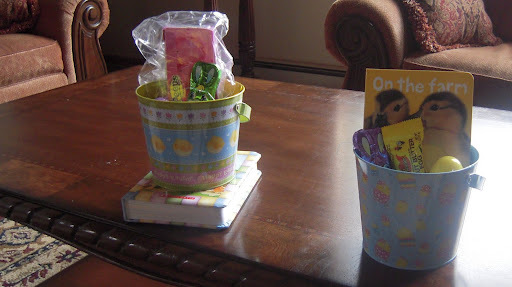 We decided officially that each year the kids will get a book in their Easter baskets, no other gifts. Will got a touch and feel book, and Kalena got a little kids board book bible. Seemed appropriate for Easter, no? Will didn’t so much like looking for eggs. He was content to carry one around. Just one. 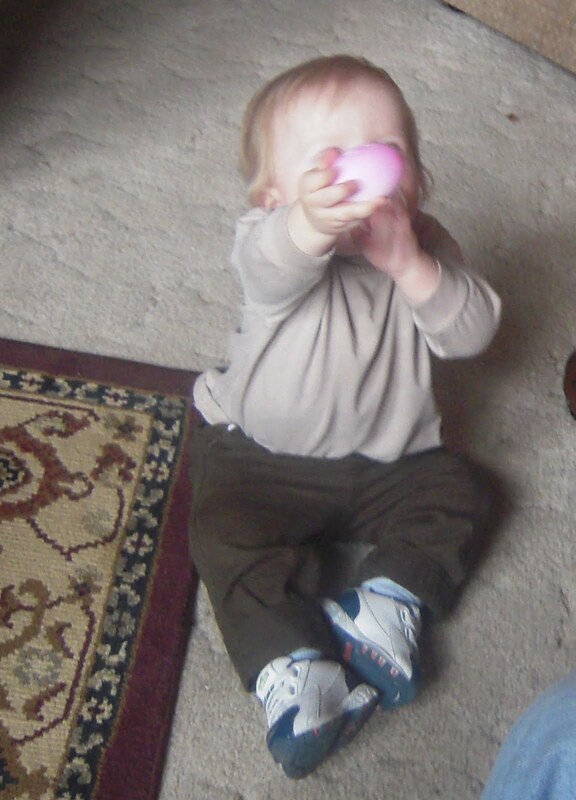 And then he would hold it up periodically to announce his victory over the egg finding. 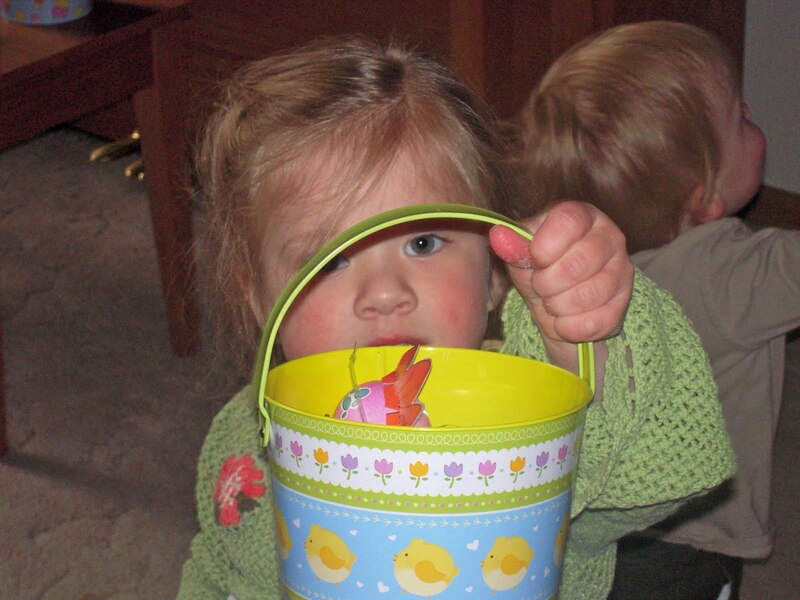 Kalena, showing off her basket of eggs. 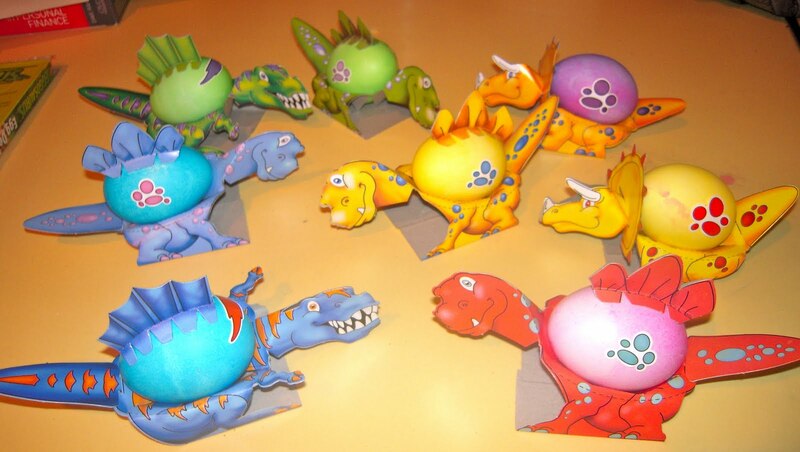 I am SO JEALOUS of those dinosaur eggs! Garrrr… now we have to do Easter all over again, DANG IT. Those eggs are freakin CUTE!! I love the eggs. How fun. I went to Wal Mart too since I'm Jewish and we Jews always forget when Easter is and that amlost all the stores are closed on Easter (except for Wal Mart and Walgreens). I was surprised at how crowded it was at WM.